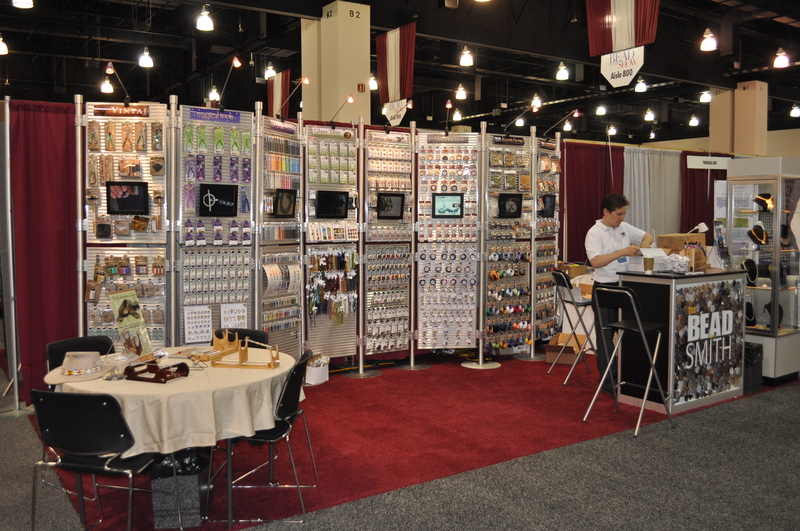 Hi Every­one, I’m off to Mil­wau­kee tomor­row morn­ing for the big BEAD AND BUTTON 2014 bead show! 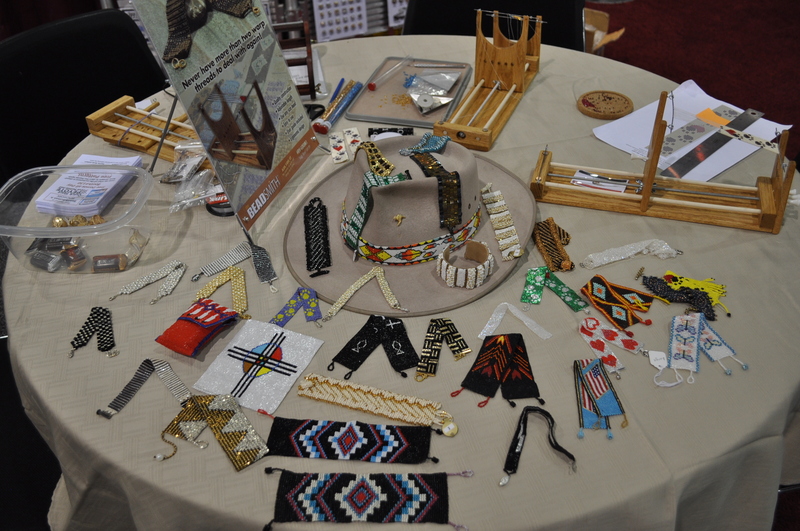 It’s sup­posed to be the largest bead show in the coun­try. 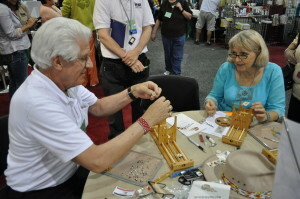 My sis­ter, Melanie Ricks Ladd and I will be demon­strat­ing THE RICKS BEADING LOOM in The Bead­Smith booth. I’m sure we’ll be meet­ing many “RICKS LOOMATIKS” at the show. Be sure to drop by the booth and have your loom and book­let signed. I“m always happy to sign them. 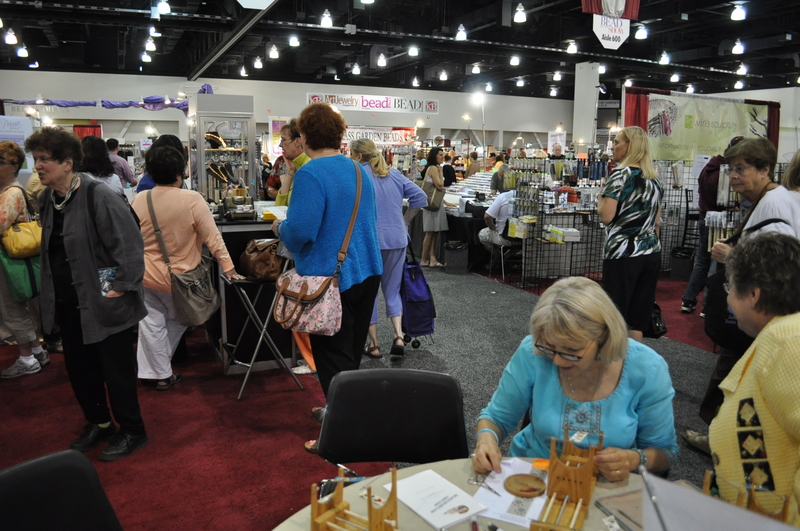 Last years show was great and if the inter­est shown lately is any indi­ca­tion, this years show will be bet­ter than ever! 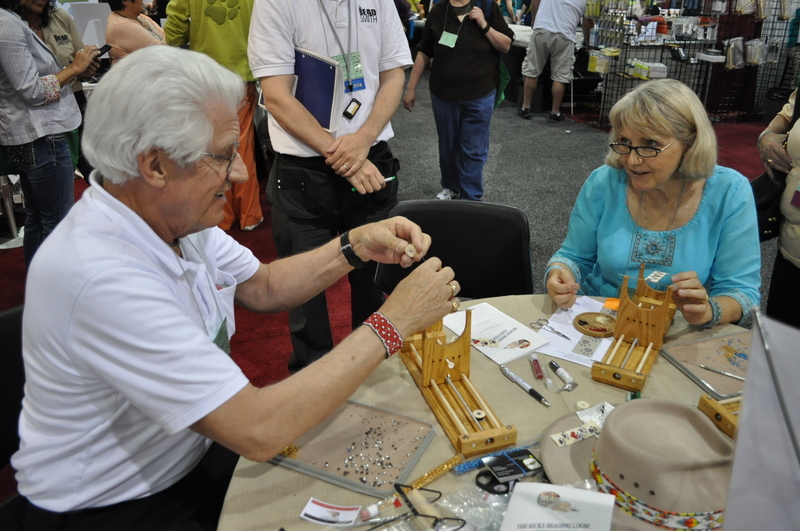 Hope­fully we’ll have kits designed spe­cially for THE RICKS BEADING LOOM avail­able for order at this years show. I have pre­pared 6 dif­fer­ent kits, each fea­tur­ing one of my own designs. 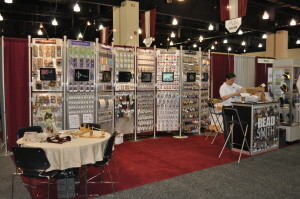 The Bead­Smith has work­ing to get them into pro­duc­tion and I under­stand they are now ready.Here are some pho­tos from past years shows and of course, I’ll be tak­ing more pic­tures at this years show.